Outrage is all the, well, rage these days. In this week’s boralogue, John examines stories generating much indignation in the news. First, the Obama administration wants to ban gun ownership for Social Security recipients, who lack the mental capacity to manage their own affairs. Question: who determines mental capacity? Also, when Democratic presidential candidate Martin O’Malley recently said that all lives matter, he was booed by outraged protestors and later apologized! It should be a level playing field. We all have inherent rights that should apply to everyone equally. It’s a novel concept found in the Declaration of Independence. There are those who are destroying the moral foundation they stand on for the sake of being outraged. Predictions are useful only if someone listens and takes heed. Back for another appearance is former Senior Associate at the U.S. Department of Education, Dennis Cuddy (www.newswithviews.com), who recalls many accurate predictions he made in 2013 and forecasts potential terrorist threats just around the corner, including large scale forest fires, poison spray at grocery stores, and IEDs damaging our transportation systems. This week an undercover group exposed a profit-making scheme selling fetal body parts by Planned Parenthood. 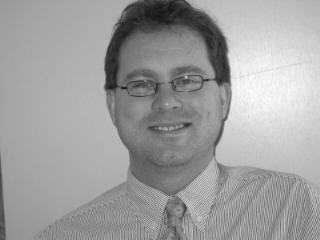 John Zmirak (www.saveourcentury.com), Senior Editor at The Stream, joins us and calls for the defunding of America’s largest abortion factory. He uncovers the history of the organization and its racist founder, Margaret Sanger, who would use any issue to advance her core ideology, built on an eroding foundation of sexual liberation and population control. 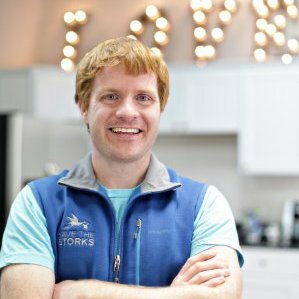 Joe Baker (www.savethestorks.com), Founder and President of Save the Storks, is on the front line in the abortion battle. Instead of protesting in anger, he shows how God continues to lead his organization’s efforts to educate expectant mothers outside abortion clinics so they can make an educated choice. John transitions into a second boralogue imploring that each of us individually can stand up and make a difference in this world and that is things look darker, we should be more optimistic rather than worse. Through prayer and petition, God lead us to His good work. Finally, we’ll continue the thread surrounding Pope Francis’s words and actions. Jorge Velarde Rosso (www.acton.org), Founder and Research Director of LIBERA in Bolivia, gives us a Bolivian Catholic’s perspective on the Pope’s recent visit to South America. Professor Rosso admits his distress at the Pope’s embrace of extreme leftist politics, but reveals he is not surprised given the political climate in Latin America. As always, join us online for our weekly Section 6 intelligence briefing, featuring analysis by John on important stories highlighting emerging geopolitical trends around the world. John follows up on last week’s Section 6 with the details from the recent P5+1 Iranian nuclear agreement.